PUNE: Cox & Kings Ltd., a tour operator announced the 'Free Fly to Kashmir' packages in its bid to promote Kashmir Tourism under its domestic brand 'Bharat Deko'. The unique initiative offers free airfare ex New Delhi, thus making the package attractive. 'Glorious Kashmir' and 'Kashmir Delight' are the two packages announced for both who wish to opt for Group Tours and those who want to independently plan their holiday. The special packages were formally launched by Mahmood Ahmad Shah, Director, Tourism Kashmir along with Yusuf Poonawala, Senior VP, Cox & Kings at the Nigeen Club, Srinagar. The packages that span for a week have been specially crafted to offer a holistic Kashmir experience with price starting from only Rs 22,099. 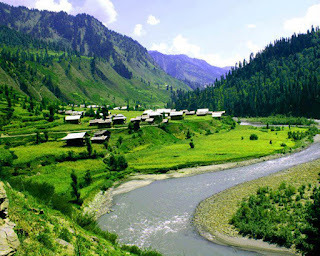 The Free Fly tours will allow the tourists explore Kashmir's pristine nature, the local culture and history. Sonamarg, also called The Meadow of Gold, Thajwas Glacier, Pahalgam, the valley of Shepherds, the 9th-century temple complex of Awantisvamin and Betaab Valley that is named after Bollywood movie Betaab are a few of the many sites that have been included in the tour. Mahmood Ahmad Shah, Director Tourism Kashmir hailed Cox & Kings' efforts in promoting the state. The 'Free Fly to Kashmir' packages were launched after much deliberation and visit of the special marketing team of Cox & Kings from all states of the country to significant tourist destinations. While addressing the audience, Yusuf Poonawala, Senior VP, Cox & Kings said," Kashmir is on the priority list of the travellers. This offer will further boost tourist influx into Kashmir"